Over the past few months, we’ve been conducting research to evaluate student learning outcomes of Wikipedia-based assignments. I’m pleased to announce Mahala Stewart has joined Wiki Education as a Research Assistant to analyze and interpret survey and focus group data. She will work closely with Research Fellow Zach McDowell, who has been leading the project. 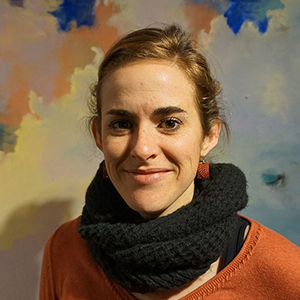 Mahala is a PhD candidate at the University of Massachusetts Amherst in the Department of Sociology, where her dissertation research examines mothers’ experiences of making schooling decisions for their children. She has also been involved with research projects studying interracial couples’ residential and schooling choices and the experiences of childfree adults. She has assisted and taught a range of courses while at UMass, and is currently collaborating on a forthcoming reader, Gendered Lives, Sexual Beings: A Feminist Anthology. She said she was drawn to Wiki Education’s student learning outcomes research because of her interest in creative open access approaches to teaching and knowledge production. In addition to analyzing the data, she will be working on written reports and plans to collaborate with others on journal articles based on the research. Outside of academic work, Mahala enjoys four season New England hiking, and exploring the western Massachusetts live music scene. Please join me in welcoming Mahala! So glad to have another researcher on the case! I am excited to hear what you find. Thanks for the warm welcome! I am thrilled to be a researcher for Wiki Ed, and to be working with Zach on the learning outcomes project.